The birth of Shantel Williams’ third child happened during some stressful life events. 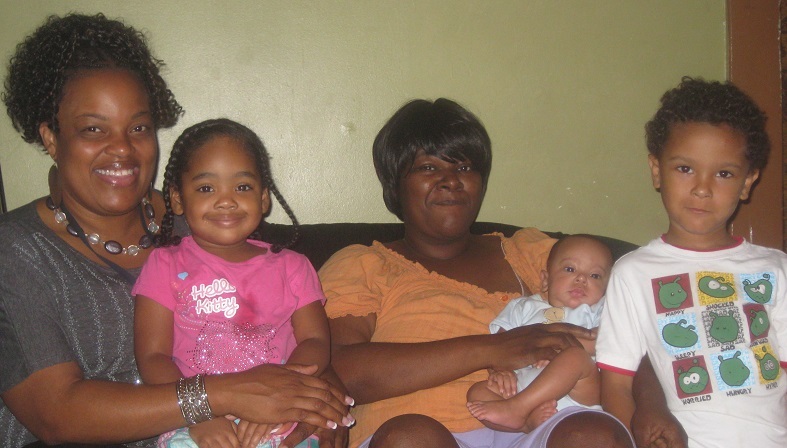 While in the hospital giving birth, Shantel’s home caught fire and caused severe damage. She spent several days in a hotel with her family, but without insurance, she ultimately had to move back into the home and begin fixing the damage themselves slowly. Because of the damage, her heat and water bills were thousands of dollars and she was at risk of having the utilities shut off. In addition, her health suffered during the pregnancy and Shantel was required to have surgery shortly after her baby’s birth. She could not pick him up herself for several months due to her illness and relied on family members to help with his care. Shantel’s Durham Connects nurse was able to connect her with the Durham Connects social worker to resolve the bill issue and get her on a wait list for home repairs. The social worker was also able to help reinstate her unemployment check, which was lost during the chaos after the fire. That helped provide some income while she was ill and unable to work. Shantel and her family have struggled to repair the home, but Shantel recovered and was able to find new work, while her son grew and remained healthy. She is thankful for Durham Connects and credits the nurse and social worker with saving them from homelessness during a crisis. In the photo are Durham Connects social worker Erika Ward and Shantel Williams with family members, including her young son!